American Academy of Allergy, Asthma & Immunology Foundation, Inc., is excited to announce that Hall of Fame Football Great Eric Dickerson will be the Grand Marshal at the Fourth Annual “Light Up the Night” 5K Run/Walk on Sunday, March 6. “Personally, I have had allergies my whole life. I suffered through my allergies in the NFL, too, and never received any real treatment for them. After finally seeing an allergist a few years ago, I now know how important it is to get help,” Dickerson explained. The Centers for Disease Control (CDC) estimates that 6.8 million children have asthma, 6.6 million have hay fever and 4.1 million children have food allergies. Proceeds from this event will support the AAAAI Foundation, which is dedicated to supporting research that leads to the prevention and cure of asthma and allergic and immunologic disease. 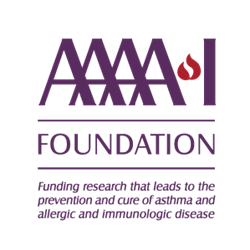 “A donation to the AAAAI Foundation is a donation to both the development of the next generation of researchers and also serves as a way to begin a ‘march’ towards allergic disease improvement and eventual cure. Every day, we see firsthand the consequences of these diseases on patients but also the exciting, gratifying and life-changing prospects in disease prevention,” AAAAI Foundation Council Chair William W. Busse, MD, FAAAAI, said. “Light Up the Night” 5K Walk/Run will kick off onsite registration on March 6 at 4:30 pm PT outside the doors of the Los Angeles Convention Center. Registration ($45) is open to the public and includes a t-shirt, hat, tote bag and glow gear to brighten the evening. Families and children are welcome. Warm-up begins at 5:15 pm PT and the race begins at 5:30 pm PT. More information is available at annualmeeting.aaaai.org. Dickerson retired from the NFL as the second leading rusher of all-time and he was elected to the Pro Football Hall of Fame in 1999. He was invited by his allergist/immunologist and AAAAI member Stuart Epstein, MD, of Beverly Hills Allergy. He is generously donating his time to the AAAAI Foundation. For more information about Dickerson’s career, visit the Pro Football Hall of Fame. The AAAAI Foundation is a is a 501(c)(3) tax-exempt organization with a mission of “Funding research that leads to the prevention and cure of asthma and allergic and immunologic disease.” To date, the AAAAI Foundation, formerly known as The ARTrust™, has provided over $5.6 million through 94 grants since 1993 to support research and education in allergy/immunology. Learn more at aaaaifoundation.org.